Charles Waters Banks was born in 1806 in Ashford, Kent. His father was a Baptist, but Banks was brought up by his Anglican grandfather, and was trained as a printer. He was converted and baptised by immersion at Canterbury, and began preaching when in 1831 the visiting minister atLittlebourne was taken ill and Banks was told he must take his place. 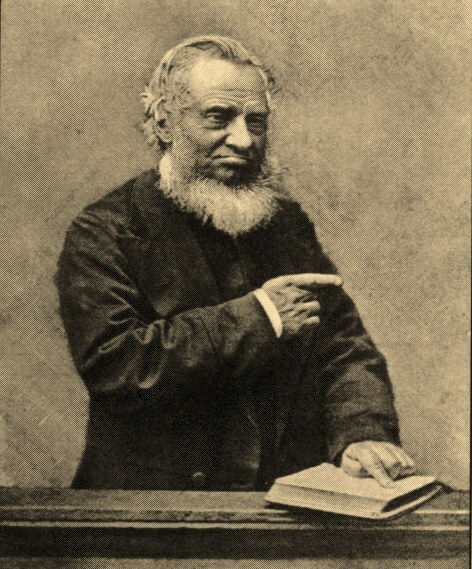 Banks moved to London about 1840 and became pastor of a church in Southwark in 1844, subsequently pastoring several London churches. In 1845 Banks printed the first issue of The Earthen Vessel; he was sole editor. The number of copies printed rose rapidly from 200 of the first issue, to over 6,000 by 1852. The magazine was designed to encourage‘vital godliness’. It was not a theological journal, initially containing mainly letters; sermons, book reviews, devotional pieces and church news were soon added. Banks allowed open debate, a policy perhaps unwise; the magazine became embroiled in controversy. Banks himself was a conciliator, who sought to spread and establish Strict Baptist principles with kindness of heart. He was still giving instructions for The Earthen Vessel from his bed when he died inMarch 1886.